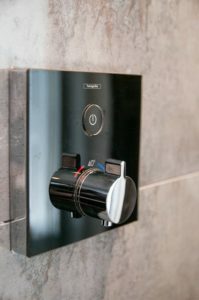 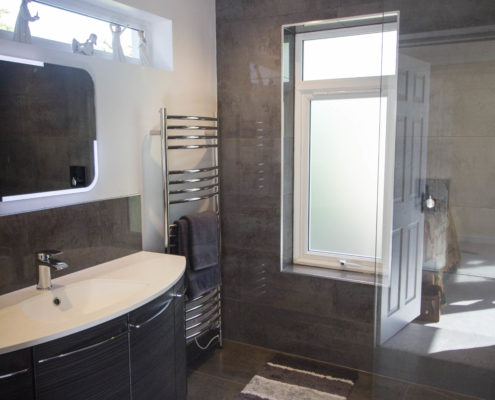 Update a tired ensuite and make relevant to their lifestyle and in keeping with the rest of the house. 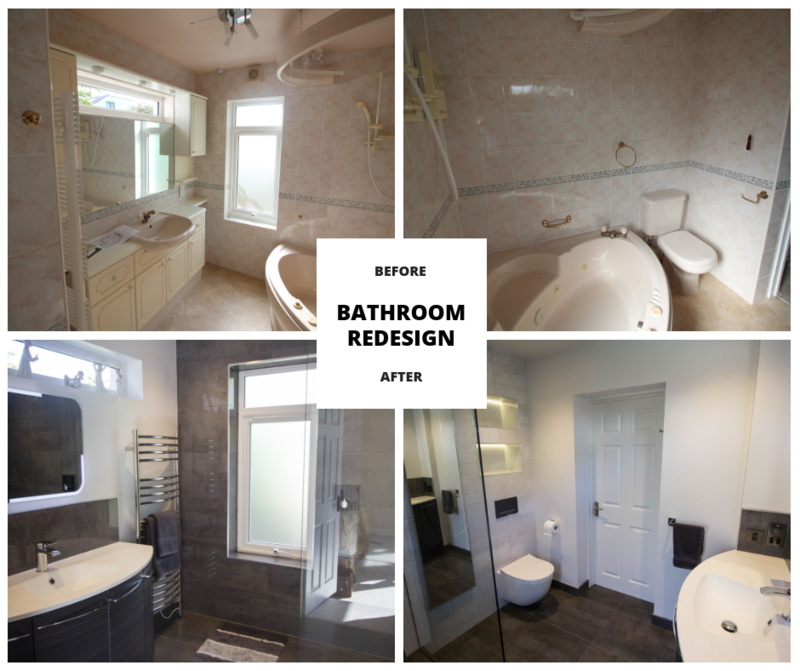 Designed the room without the need for a bath. 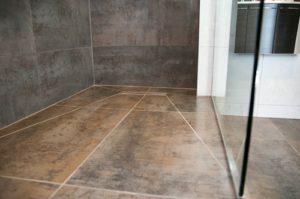 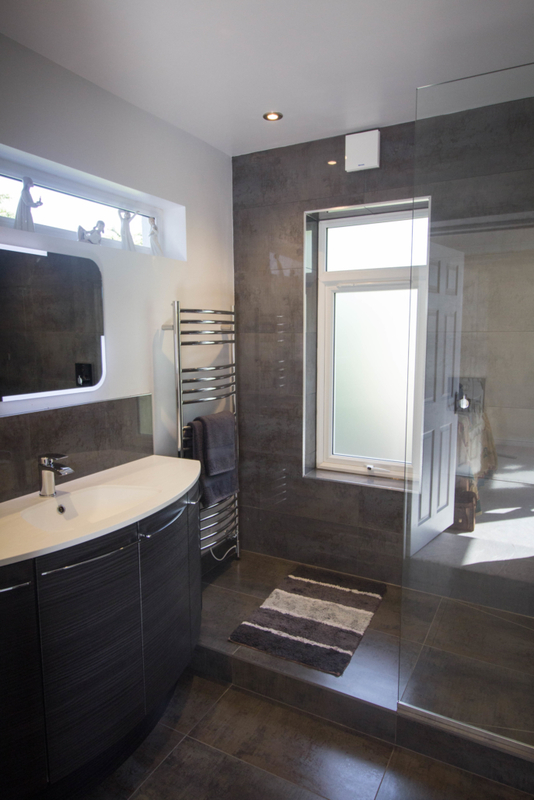 Split the room into 2 levels – wet area and dry area. 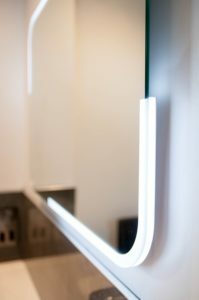 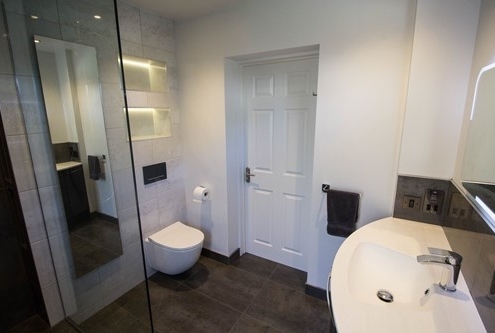 Created a feature wall which housed the wall hung WC but also included recess storage, subtle independent lighting and a full length mirror/cabinet. 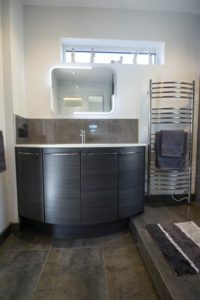 Kept a consistent curved theme with basin unit and towel radiator.